19th April, 2013: The Queen was on top form today with her horse, 'Sign Manual' winning a good race at Newbury, Berkshire, today. 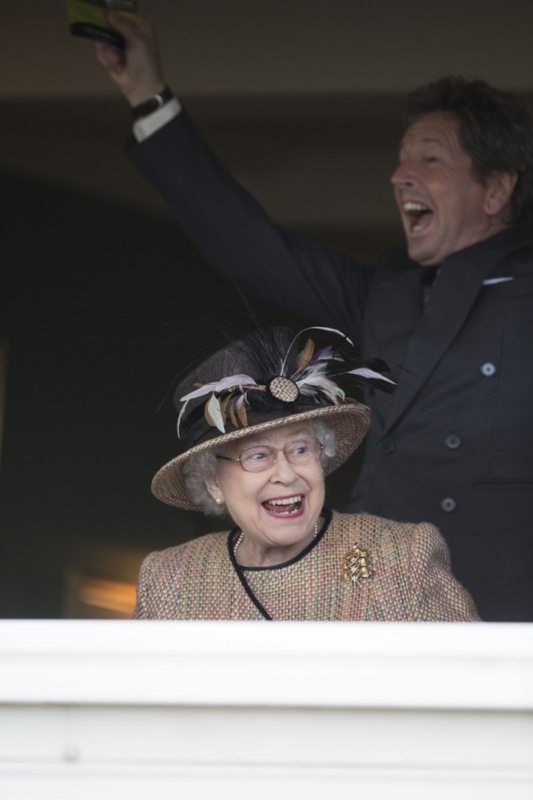 Here, The Queen watches her horse come home and can't disguise her pleasure. Her racing manager, John Warren, is also overjoyed. - high-definition photo for free download.